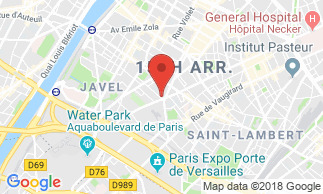 The charming hotel De La Paix is situated only 5 minutes walk from the Exhibition Park at Porte de Versailles, within easy reach of the Eiffel Tower, the Saint Germain Quarter and the Montparnasse railway station. The hotel offers the comfort of its 37 air-conditioned rooms. The hotel is situated very close to the Exhibition Park at Porte de la Versailles.